Better Life Blog: Yarrrn Giveaway! I am totally THRILLED to be able to offer this giveaway to all of you this weekend. emailed me and offered to host a giveaway! Look at the a.m.a.z.i.n.g. stuff she makes. Plus MANY MORE adorable items. You can choose what yarn color to use for most all of her products, too! I'm so jealous that I can't enter this giveaway! (and maybe a pink version for Lady Bug)! Wouldn't that make for an adorable picture?! $30 Gift Certificate to her shop! You literally could get whatever you want in her shop with that GC. 1. Visit her ETSY shop and decide what you would use your $30 towards. Then come back here and comment with your choice so you can be entered. Be sure to leave your email address in the comment, too! 1. Tweet, facebook, blog, etc... about this giveaway! Make sure you provide my blog address so people can enter, then come back here and leave a comment saying to spread the word! It takes 2 seconds to leave a comment and YOU may win! Winner will be drawn and announced on Monday, January 24th. If you just can't wait to find out if you won, Jill is also offering a 15% off coupon just for BLB readers! Enter BLBAGS at the checkout. Discount code good until Tuesday, January 25th. It would have to be the Eva slouch hat in Kelley Green! Although, I love the newborn hat too. Lovin the Owl Hat. I would love to get this for my new grandbaby. Thanks for the chance. Oh my! Gorgeous! I love the rose scarf, the mug cosy and the driving gloves. i would love the lena cowl scarf in sapphire. super cute. Lovely giveaway! I would get the Eva slouchy hat in dusty blue! Thanks for the great giveaway and coupon to her etsy shop! I love love LOVE the Sleepy Girl Owl Hat... but wow are a lot of her other hats cute too... as well as the Vintage Reproduction Driving Gloves. Too cute! I would love the newsgirl hat for my daughter....it is so cute!!! Wow, those are all amazing. I would have to get matching Crocheted Headwraps for my 3 yr old and myself. So adorable. Any action w/ the baby yet? 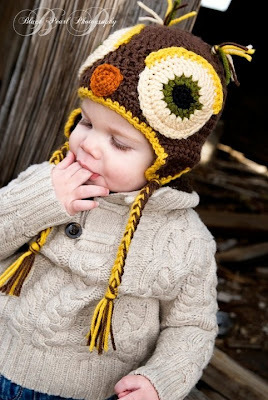 I would definitely buy the Hoot the Owl hat or the Mille Cloche hat... so cute! I wish I could knit. I really like her items, nice shop! 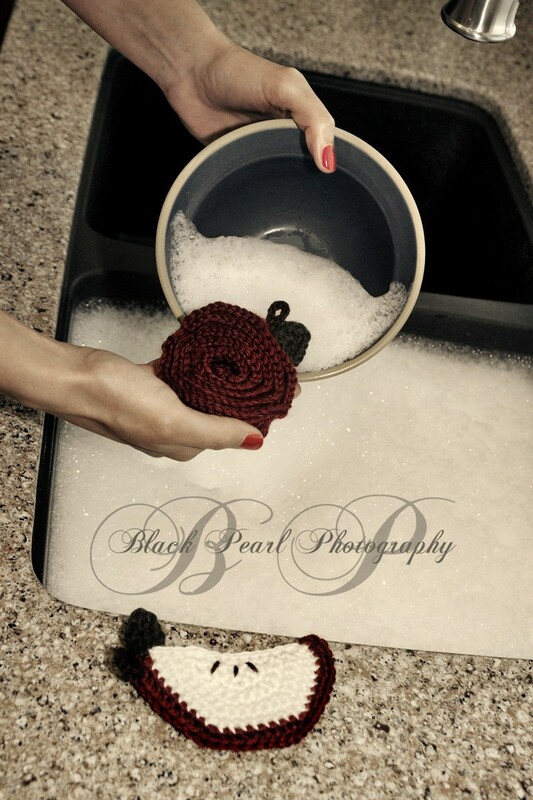 I would choose the woman's headwrap in cranberry, love that color and a set of the apple scrubbies. Love the children's hats, but these giveaway goodies would be reserved for mom! I'd love one of those hats for my little girl and a couple kitchen scrubbies or potholders - too cute! 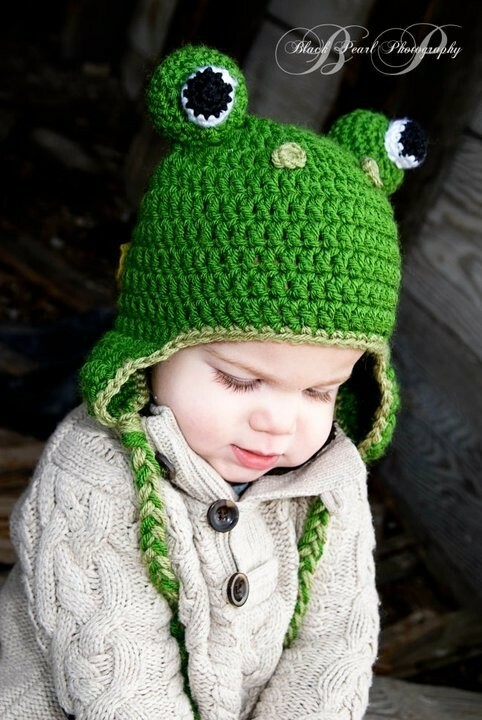 I would love to get the Hopper the frog hat for my son or the newborn hat for my daughter! Of course I like the Mille Cloche hat for myself!! Oh, I would toooooootally get the owl hat for my daughter. Here prices are so reasonable! I would get the apple scrubbies for my kitchen and the crocheted head wrap for my little girl! I sent a link to all 661 of my friends on facebook! Can't wait! I'm pretty in love with the Jean headband. I've always wanted one and that blue color is just lovely! Absolutely LOVE the rose scarf. I'm a big scarf fan and this one would be great to add to my little wardrobe. :) Everything on the site looks great. Oh Wow! I really like the lena cowl scarf, but the frog hat is super cute too! I like the scarves, the vintage caps, the demi gloves...Then, if my daughter started choosing, things could totally change. Blessings! I LOVE the Hoot The Howl hat!! I would get the Betty Ski Hat. I love the newsgirl hat in dusty purple! I especially love the Millie cloche hat (because my daughter's name is also Millie). The newsgirl hat is adorable also. Hope I win!!!! Adorable stuff! I love the Rose Scarf and the NewsGirl Hat-so cute!! I am in love with the owl hats!! Too cute! I would like to get a Ms. Jean Headband in Olive and a crocheted headwrap in the same color for my daughter...so we can match! I love the products she has and they will be great gifts for friends and family. Thanks so much for this oppurtunity! i really like the mug cozy! I wish I could knit just so I could make a cute cowl or adorable hat for my boys! I love all those things. I visited her shop but I just love love the cute hats for boys! Such a cute shop! I love the Lil' Grizzly Hat. 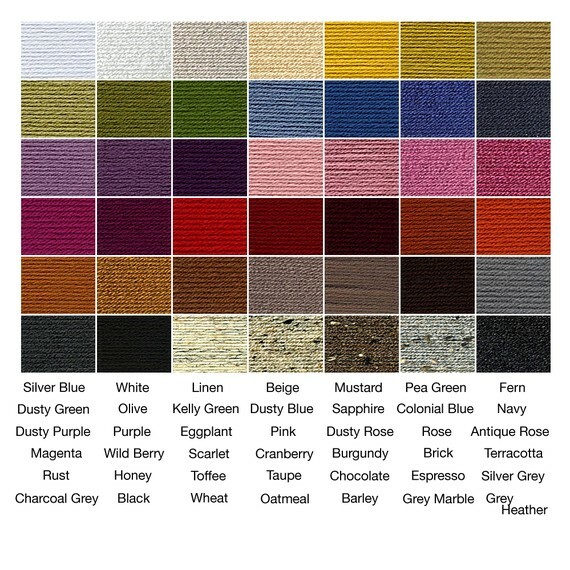 I would choose the newsgirl hat in wild berry. It's adorable! Shared on fb :) see comment 45 for email. Adorable! I would get the Hoot the Owl hat or the Newsboy hat for my 10 month old. It would be so cute on him! Also, just shared on fb. I love the newsgirl hat or the owl, or the frog. I'm torn! I would for sure get the owl hat and then I think I would have to treat myself for winning and my mother in law to the apple scrubbies!! My email is rsgardner5@gmail.com!! I'd get the Sleepy Girl Owl Hat for my little one that's due in four weeks. I can only imagine how cute she would look in those hats! I Lurvvv the slouch hat! Stylish warmth. I think my toddler would want the owl hat, so cute sleeping or awake. I love the hoot the owl hats, though the Grizzly bear hats are also very cute. There are so many beautiful pieces, but I think the Millie Cloche and the Eva Slouchy are my favorites. If I win, I'll get my husband's opinion :) Thanks for the opportunity! The Hopper the Frog Hat is adorable and would look so cute on my 4 month old baby boy! Thanks so much! !